External 8 x Mini-simcard Female holder(also can hold 8x microsimcard and 8x nanosimcard). 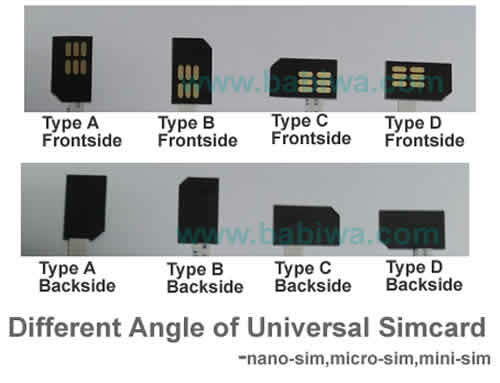 How to use: to insert into your mobilephone's(or any simcard based device) interior simcard slot, please note all types of simcard standards are optional including nanosimcard,microsimcard,minisimcard and different bevel direction , please let us know before shipping. Notify me of updates to babiwa@ series 8 simcards extension device for mobilephone.universally standarded Device for Online Marketing and Bulk Advertising as batch sms message delivery ,batch text message receiving,bulk call sms marketing,other bulk mobilephone advertising etc.International shipping.